It’s been over a month since I’ve written a blog post and for good reason. 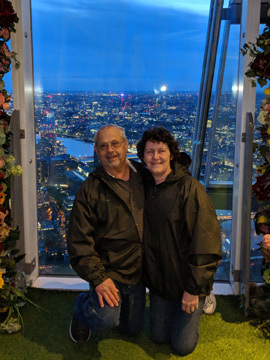 From April 29 through May 17, my husband and I took a 40th anniversary trip to England and Ireland! Where does the time go? It seems like it was yesterday when we got married! Now it’s 40 years later!!! 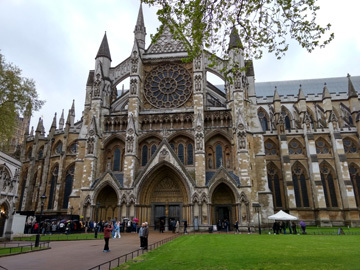 We also toured Westminster Abbey and took a river boat cruise along the Thames. 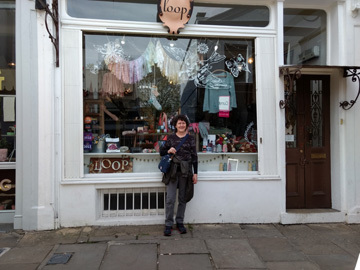 I was able to squeeze in a trip to a London yarn shop called Loop. 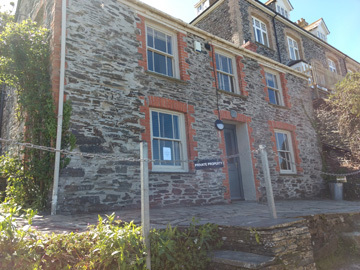 What a nice place to see lots of gorgeous yarn and crochet thread! Some crochet thread by Scheepjes spoke to me in the shop, so I came home with 10 balls of thread! 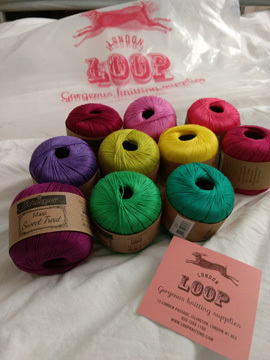 I look forward to designing something with these gorgeous colors after I’m all done with the 3 crochet contracts I’m working on right now! 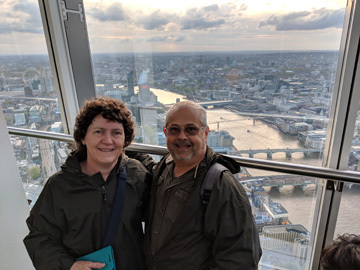 We saw a lot more than this in London, but for the sake of this blog post not being WAY too long, I’ll stop with these places. We went to Ireland after London, then back to the southwest part of England, known as Devon and Cornwall. 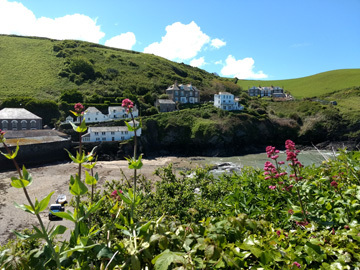 We rented a car during this portion of our England vacation (we didn’t dare drive in London, but took lots of public transportation there, which was fabulous). 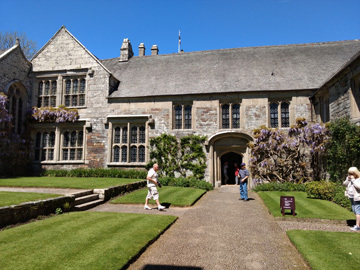 We toured an old house in England called Cotehele House & Gardens. It was a fabulous tour! This house had tour guides in each room to tell about the specific rooms! 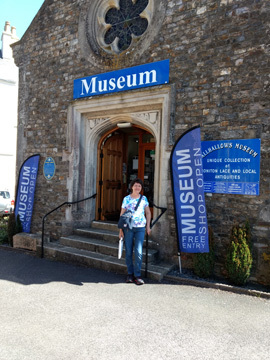 We went to the All Hallows Museum in Honiton to see some Honiton Lace. Wow! The lace there was AMAZING! They had large drawers with huge pieces of lace that were exquisite! Each large piece took thousands of hours of work!!! Now that’s dedication to a craft! Lace making, and Honiton Lace in particular, was a cottage industry in the Devon area in the 16th and 17th centuries. Making lace provided an income for many families for several hundred years. Unfortunately, the invention of machine made lace made hand made lace virtually obsolete. 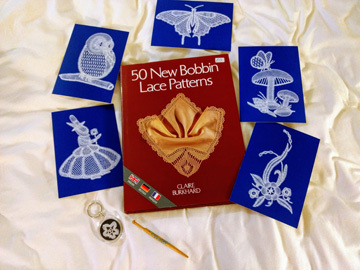 Since I learned to do bobbin lace this past January, I bought some souvenirs at the museum to help further my bobbin lace knowledge and skills! 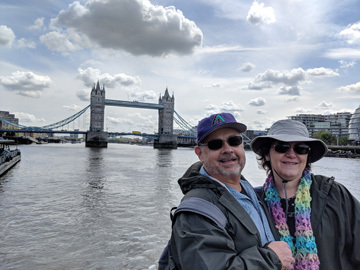 The England portion of our trip was so much fun, just as the Ireland portion was also lots of fun! Stay tuned for tomorrow’s blog post about Ireland! 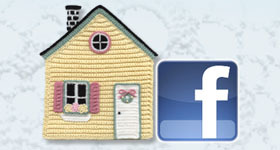 This entry was posted in Bobbin Lace, Crochet supplies, Traveling and tagged bobbin lace, crochet supplies, Traveling. Bookmark the permalink.